For me Khaman means Vati Dal na khaman…I hardly ever had the Nylon Khaman…But Vaati Daal na Khamans were a regular feature at home 🙂 Both the variety of khaman look alike but taste very very different!!! 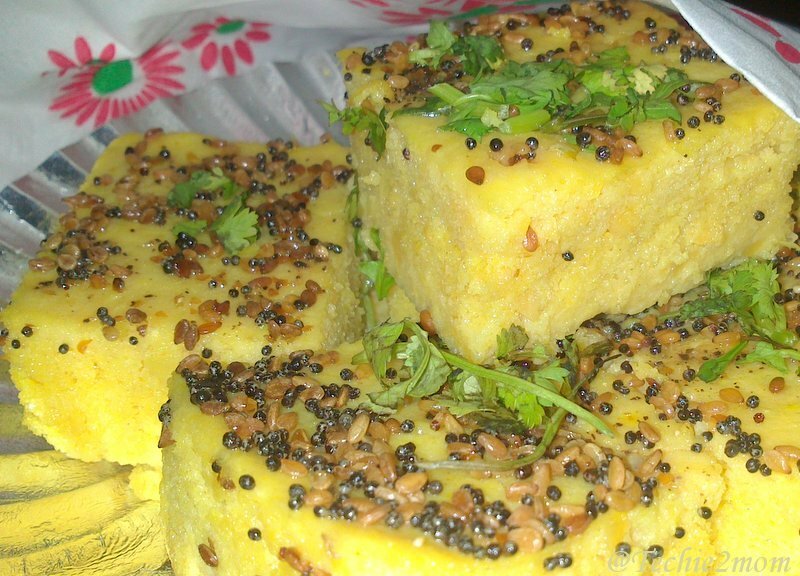 Yes, this is called Khaman in Gujarat, am not sure why people in other parts of the country call khaman as dhokla?!? !I find this khaman healthier compared to Nylon khaman( which is all juicy with sugar syrup)…. 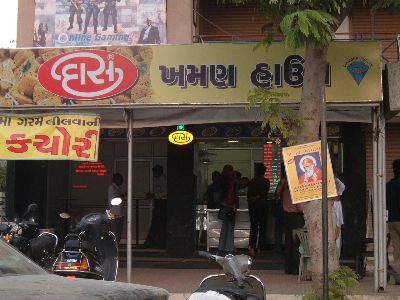 In Ahmedabad, there is a shop called Daas na Khaman…Khaman from this shop are my all time favorite, whenever i visit Ahmedabad, i have to have khaman from here!!! But what when i am away from Ahmedabad??!! Of course, i have to make my own khaman. And i am very proud to report that after few trials and errors my khaman, now tastes as good as the Daas na Khaman, yippeeee……. 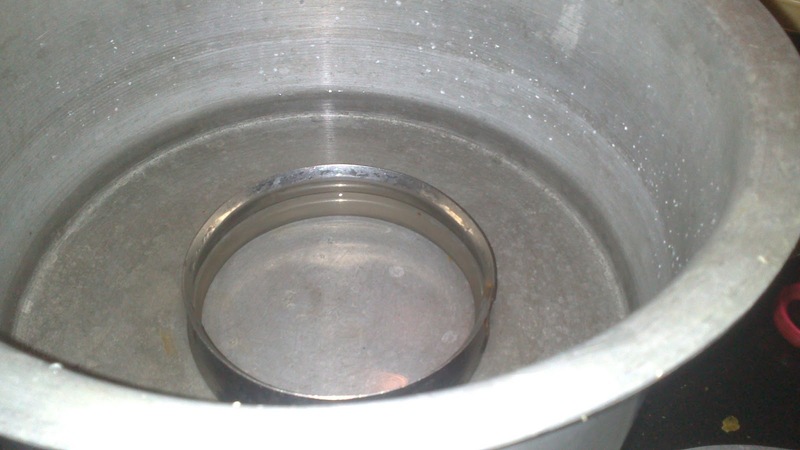 2) After 4 hours, grind the daal to a COARSE paste with little water. 3) Add the curd, mix well, cover and keep in a warm place for 7-8 hours for fermentation.Proper fermentation is the key to great taste. So ensure that it takes place…. 4) Once fermentation takes place, add salt, green chili ginger paste, turmeric powder, Soda and Asofoetida. Mix well. 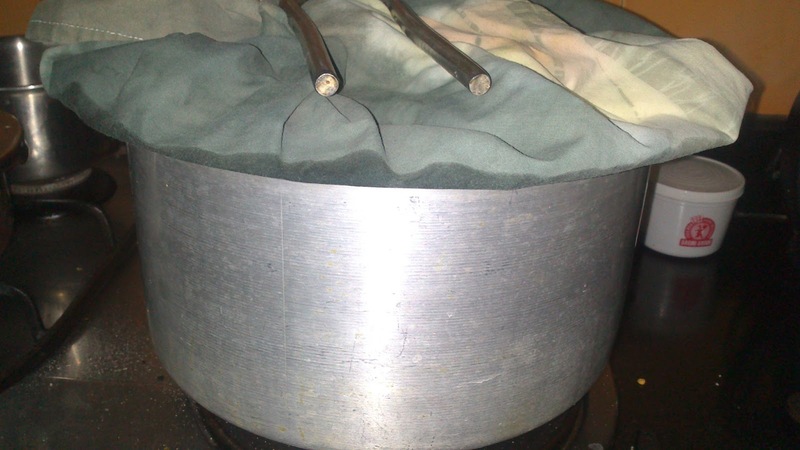 5) Now take a big pateela (deep pan), take water in it, put a stand inside(or a bowl on which you will be putting your khaman plate) put it on a medium flame. Cover it using a lid (Wrap the lid in a cloth to avoid soggy khaman). 7) After the water heats, pour your khaman batter in the thali and put the thali inside the Big Pateela, on the stand (Or Katori, whaterver you chose). 8) Cover with the lid. 9) Steam the Khaman for 20 mins (or till the knife inserted in it comes out clean). 10) Once steamed take the plate out and let it cool. Once cooled, cut into square or diamond shape. 11) For tadka in a kadai, take oil, add mustard seeds. 12) Once they crackle, add Til, let them crackle then Add hing and turn the flame off. pour the tadka on the cut Khaman. Previous Post: Color me black…. T2M, I'm intrigued! This is nothing that I'm familiar with. But I'll have to try this out one day 🙂 Between, Meetha Soda is Cooking Soda? And what chutney goes with this? hi first time in here, loved your blog and my fav khaman, between what is meetha soda, is there a substitute for it?? Meetha soda is your regular soda powder…. But I would like to know how whether it can be prepared in oven or not. Please add that details if u have idea.